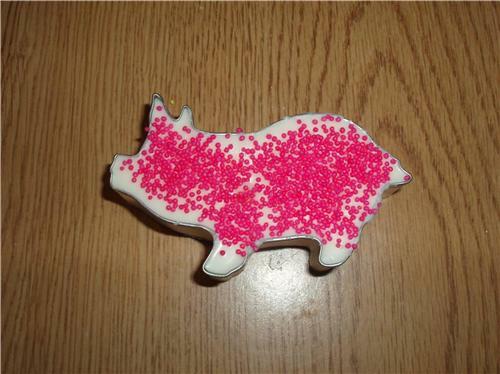 You are looking at a picture of a pig cookie cutter filled with chocolate. This cookie cutter candy is made from fresh chocolate. You will receive one cookie cutter that can be used to make cookies with after the chocolate is gone. These cookie cutters would be great for a farm party as birthday party favors or a birthday gift. You may pick any colors (that I have available) that you would like for these to be made in. Due to the availablity of the cookie cutters you may only order the amount I have listed, if you are interested in multiple cutters that are the same, please email me, I would need a few weeks notice. I can make many different cookie cutters so if you have any requests please let me know. This candy is made fresh to order and comes in bag tied with a pretty colored ribbon.